Children's self esteem is the foundation for a happy and successful life so it is critical ingrediant for their health, happiness, their successes in life and their emotional well-being and their all around self confidence and ability to perform well. Children like to feel loved, wanted, valued special and unique, they have no idea themselves how to make them deliberately feel positive and empowered so in their early years they are totally reliant on their parents or luck. Children need to be fed positive and encouraging messages from a very early age, they need to feel valuable, loved, wanted and significant, they should be encouraged to self praise themselves. Our thoughts have a profound affect on how we feel and what we become so children should be made aware of this from an early age. Teach them to reinforce themselves with positive affirmations and positive self talk throughout their whole lives so they can begin to grow their self esteem and self worth. A good base foundation of positive reinforcements coupled with plenty of constructive praise will remain with them throughout the rest of their lives. 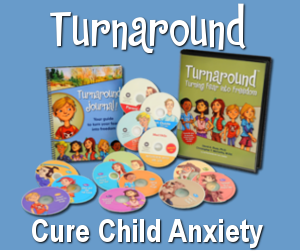 This will help them grow with confidence which will lead them to a happier and more successful life. They will find it much easier to solve problems and overcome challenges with a healthy level of self esteem and they will have less trouble with worry and anxiety and they will be more outgoing and better communicaters. All kids need a self esteem boosts, but sometimes we as parents aren't sure how to deliver the necessary boost and vital encouragement which is needed to build their self esteem, once you build their self esteem you will automatically increase their self confidence. Try the following ways to boost your child’s self esteem. Praise your child every time they achieve specific behaviors. While it’s great to say things like, “You’re sweet,” it’s even more effective and productive if you combine praise with rewarding your child for specific behaviour and doing good deeds, say something like“I’m proud of you for helping your baby brother; that’s very caring of you,” this kind of praise rewards the child for that specific behavior. Support your child in every way you can, always get fully behind your child’s interests and goals. You can do this by supporting your child with any activities or lessons they may need to pursue a ambition, buying all the equipment and supplies your child needs so they can pursue an interest. They may also or need transportation to and from their lessons or activities and moral support when they are competing or taking part in they activities. Every parent has to discipline their child, but do so assuming your child will listen and obey. Keep believing that your child will learn to obey and adhere to the correct guidelines, Sometimes children need to learn a lesson, so stick to your guns even if it takes time. What you must not do is criticism and put your children down they need discipline but they don't need to feel as if they are worthless or useless. Get them to focus on how great and awesome they are and tell them yourself some positive suggestions and statements. You can talk to your children and show them where they have gone wrong, what you don't want to do is to lower their self esteem. Think about your facial expressions, being sure to smile. Keep in mind that you are the primary figure in your child’s life, and a frustrated or a disappointing look or an annoyed expression can be upsetting for your child. Try and have more fun yourself, be happy and confident in front of your children, be positive and use positive language, how you act and behave can have a massive impact on your children, avoid being negative and frustrated while your children are around. Show your child you love him or her by being affectionate. Your touch means so very much to your child. If notice that your child has improved in any area's, congratulate them, even congratulate them for just having ago or taking part. Try and let them stand on their own two feet whenever possible, encourage them to stand up for what they think is right. Encouragement and praise can be very effective if your child has struggled to deal with a particular issue for a long time. Your encouragement and positive affirmation will help your child believe his or her efforts matter. You can reward your children for having a go or when they achieve something good. Explain and encourage your children to use their imagination, let them know when they imagination is used in a positive and good way it can help them to achieve their dreams, however when it is misused it can cause them unpleasant feelings of fear and anxiety. Children should always be encouraged and praised whenever they take action, give them as much inspiration as you can, install in them the right positive mental attitude, get them to keep on learning new skills. Try and encourage them to learn new things instead of spending all their time on computer gaming, try not to be too judgmental to them, laugh with them but not at them. Children need guiding in the right direction but this should be done with words of encouragement rather than harsh criticism and trying to push them to hard. Try and make sure they do not give up to easily on their goals, tell them it is better to keep on going and improving and to try and do a bit better than it is to give in. Children need extra help to prevent them spending a life of worry and fear. Although you want whats best for your children it can be hard not to mention frustrating trying to get them to first listen to you and secondly try and persuade them to do things that will boost their self esteem. Children especially teenagers can be very stubborn, they think they know better and it can be hard to get them to take any notice of you, all they want to do is to play and have fun. But there is a way around this, you can boost their self esteem, their confidence and much more while they browse the internet or play on their computers by using subliminal messages. Subliminal messages are a powerful and scientifically proven way of improving people's lives, they are intrusive as they deliver and flash thousands of positive affirmations on their computer screens.